Into the Woods is a unique musical that incorporates the classic tales of Cinderella, Little Red Riding Hood, Jack and the Bean Stalk and Rapunzel. They are all entwined with the main storyline of a baker and his wife who are childless and cursed by a witch. The movie has been nominated for 3 Oscars and is well cast with Meryl Streep doing an amazing portrayal as the witch. With unique and amazing makeup effects it is definitely worth watching. While trying to establish his heating oil business in 1981 New York, Abel Morales (Oscar Isaac) faces a difficult political situation. Being simultaneously investigate by the District Attorney while having his trucks hijacked at gunpoint (something he suspects of his rivals with ties to criminal enterprises) as well as facing threats from the unions if he does not adequately protect his drivers. Added to this is his responsibility to protect his family, with his wife Anna (Jessica Chastain), the daughter of gang leader, vowing to do something if he is unable to. All this comes to a head when Morales must pay for the site of his new plant within the confines of strict negotiations. 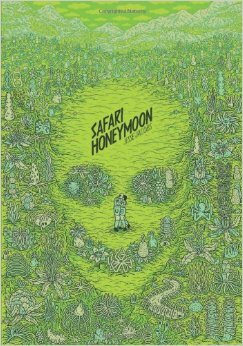 The film presents a richly dense plot, with many storylines folding in on each other. They seethe just under the surface, with tension rising, and the interactions between characters marked by an increasing uneasiness. Although resolving who is stealing his trucks and the completion of his payment for his new plant, there are many storylines, like his interactions with the D.A., that are transformed rather than resolved, adding to the richness of the implications of the films narrative. After the film concludes there is the thought that there was more story to tell. This may sound like a criticism, the film not fulfilling all its narrative ends. On the contrary, it is one of the strongest points, and illustrates the films understated mastery. The wonderfully ambiguous ending (I resist calling it a conclusion) with its palpable tension leaving you wondering if an uneasy resolution has been made, is in keeping with the rest of the films restraint. 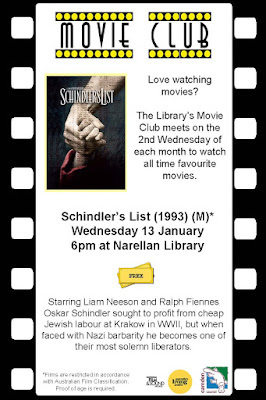 In January the Movie Club will be screening Steven Spielberg's masterpiece Schindler's List. Based on Thomas Keneally's Booker Prize winning Schindler's Ark (1982), the films stars Liam Neeson, Ben Kingsley, and Ralph Fiennes. The film tells the story of Oskar Schindler (Neeson) a Sudeten German who moved into Kraków in 1939 in the hopes of becoming rich thanks war industry to the cheap Jewish labour provided by the Nazi Party. He mixes with all the top officials and generals, is a ladies man having numerous affairs, throws the best parties, and knows how to do deals, both above and below board. But after becoming established Schindler starts to shift from profiteer to humanitarian. Working at his factory provides thousands of Jews with reason to live, as they become vital to the war effort in the eyes of the Germans. With the aid of his street wise account Itzhak Stern (Kingsley), Schindler utilizes his skills in charming, dealing and bribing to keep as many Jews alive as possible, having to deal with numerous corrupt officials and zealous commanders like Amon Goeth. The film is shot entirely in black and white, with the exception of the now famous girl in the red overcoat. Spielberg wanted the film to have the weight of a documentary, filming in original locations and utilizing numerous camera techniques to mimic original footage, and dividing the film by historical events like the liquidation of the Kraków Ghetto. Along with perfectly cast actors in career defining roles the film provides a powerful viewing experience and remains one of the primary films dealing with the Holocaust. The film will be screened on Wednesday 13 January at 6pm at Narellan Library, Corner of Queen and Elyard Street, Narellan. Tea, coffee, and biscuits provided, but BYO snacks are more than welcome. Stay after the screening to share what about the film had the greatest impact on you, or join in a discussion about the films many powerful moments. The Tudors is a costume drama set in the renaissance dynasty under King Henry the VIII. King Henry was more interested in pleasure and sport than ruling. He grows distant from his first wife Catherine and plots for a divorce from her. 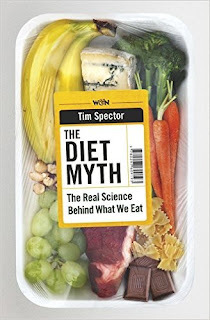 Drawing on the latest science discoveries and his own research teams work, Professor Tim Spector explores the common misconceptions about, fat, calories, vitamins and nutrients. The Diet Myth focuses on gut microbes to create the correct balance to aid weight loss and management.